The Rugged Ridge Spartan Overrider is the perfect complement to the Spartan Front Bumper for Jeep JL Wranglers. Made from 2-inch OD steel tubing and finished with a matching satin black powder coat, the Spartan Overrider is angled away from the grille for greater winch clearance, and more forward protection on the trails. The Spartan Overrider features two integrated light mounting tabs to accommodate a pair of off-road lights. 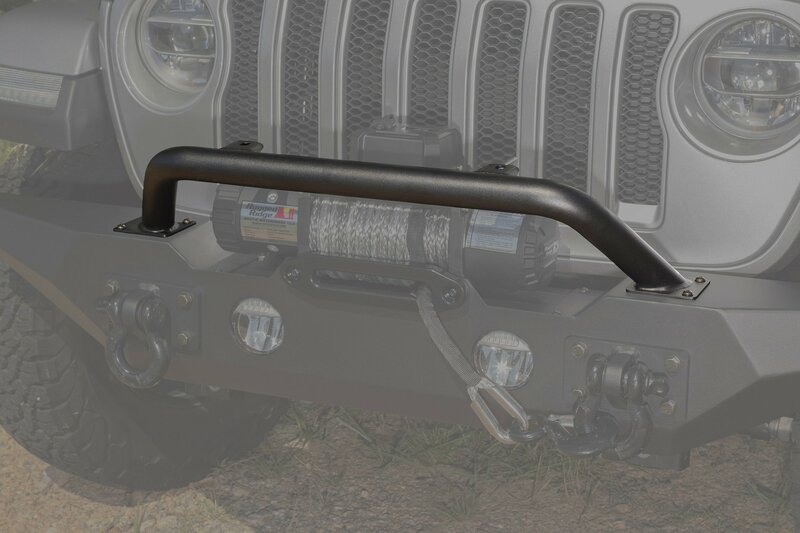 Note: Only Fits Rugged Ridge Spartan JL Front Bumper.